Ava DuVernay has emerged as one of the most intuitive storytellers in modern times. 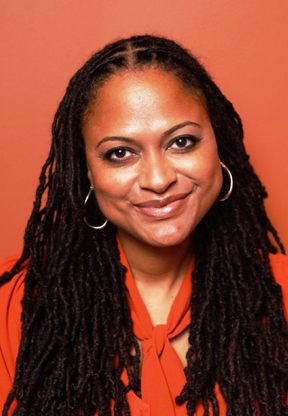 Celebrated for a growing body of work including “This is the Life” (her directorial debut), “I Will Follow” and “My Mic Sounds Nice” (a heralded documentary on female rappers), DuVernay’s “Middle of Nowhere” --her second feature length film-- is an arresting and satisfying drama of love at a crossroads where we find Ruby (newcomer Emayatzy Corinealdi), a burgeoning medical student, stymied after her husband’s incarceration for drug dealing and possession charges. Additional cast members include Omari Hardwick (“Sparkle,” “For Colored Girls”), David Oleyowo (“The Help,” “Last King of Scotland”), Edwina Findley (HBO’s “Treme” and “The Wire”), Dondre Whitfield (“35 and Ticking”, “Two Can Play That Game”) and Lorraine Toussaint (“The Soloist,” “Dangerous Minds”). “Middle of Nowhere” took top honors at this year’s Sundance Film Festival, receiving the Best Director award, making DuVernay the first African American to snag the honor. The former film publicist says her personal goal is to make one film per year to continue growing as a filmmaker. Stephanie Allain, film producer (“Hustle & Flow,” “Black Snake Moan”) and director of the Los Angeles Film Festival, champions DuVernay, calling her work spectacular. “I respond to positivity and to stories that let us see our potential as human beings, as artists. I respond to stories where art somehow lifts one up; I respond to things that move me,” Allain said. “Ava’s ‘Middle of Nowhere’ lets us see Ruby in a predicament struggling to make the right choice. I like that. I like to see us make the right choice. And, if we make the wrong choice, I like to see us learn from that. Those are the stories that really turn me on. No less spectacular is the role of Ruth, Ruby’s unrelenting mother, brilliantly performed by Toussaint (Lifetime TV’s “Any Day Now” and “Saving Grace”).